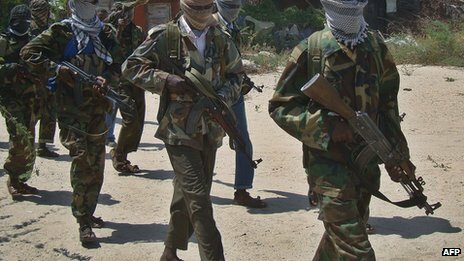 The United States is to offer millions of dollars in rewards for information leading to the capture of leaders of the Somali militant group al-Shabab. It is the first time the US has offered money for specific members of the group, which announced its allegiance to al-Qaeda earlier this year. It has put a price of $7m (£4.5m) on al-Shabab's founder and commander, Ahmed Abdi aw-Mohamud Godane. It comes as African Union forces make key advances against the group.